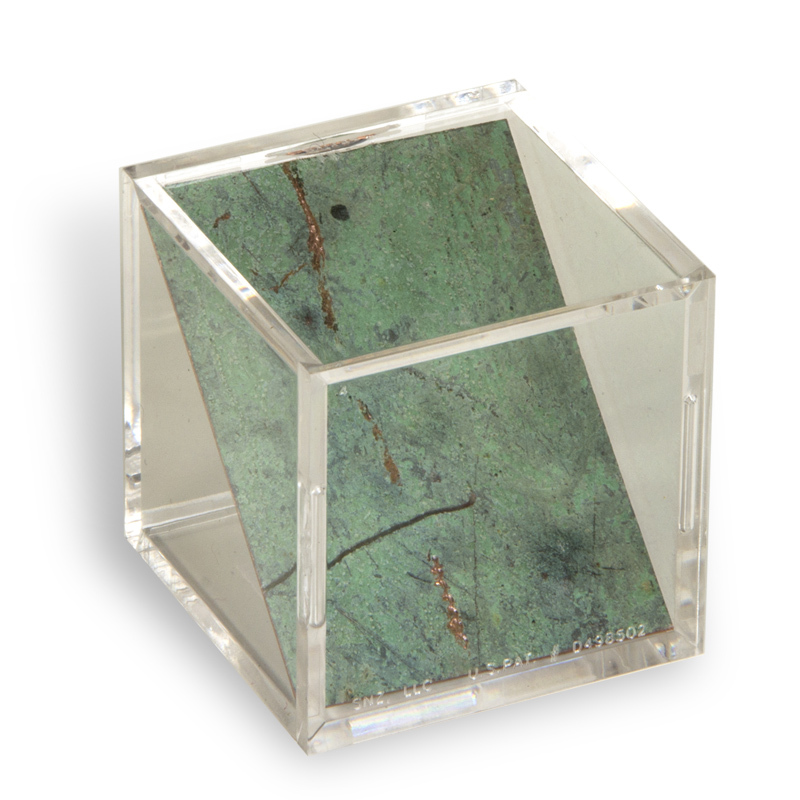 This 2-inch piece of copper in a cube is a special memento of the original green roof at the Kansas State Capitol. When the copper roof was replaced in 2013, the copper was made available to the Kansas Historical Society and Kansas Historical Foundation for use in products to be sold in the Capitol Store. **Each piece of copper is unique in its coloring/patina/etc. Keep in mind that it likely will not look identical in coloring to the picture here.